Property offers nice mountain views, paved roads and gated entrance. Close to John C. Campbell Folk School. Location of PropertyBrasstown Heights SubdivisionDirectionsFrom Murphy take US-64 E (4.1 mi)Turn right onto Old Hwy 64 (1.7 mi)Turn right onto Brasstown Rd (0.6 mi)Turn left onto Folk School Rd (0.4 mi)Continue onto Mason Rd up the ridge about 1. Property includes 23 developed lots, 150+ acres of raw land, offers nice mountain views, has wide roads and has access to clubhouse.The clubhouse has a great room, kitchen, billiard room, his & her saunas, workout room, large outside pool, etc.Location of PropertyAnderson Creek RoadDirectionsFrom the intersection of U.S. Hwys 441 & 64 Take 64W toward Hayesville/Murphy (6. PROPERTY DESCRIPTIONIncredible rustic craftsman style home overlooking the 13th hole in Mountain Harbour Golf Club. Tracts 2 and 5 of Fox Springs Subdivision totals 6.79 acres. Property offers nice long range mountain views. Property is lot 57J of Mountain Harbour subdivision in Hayesville, NC. 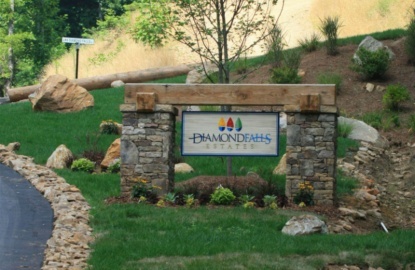 Lot offers amazing long range mountain views, paved roads, gated subdivision entrance. Property located in nice subdivision that offers paved roads, pavilion, near river and nice mountain views. 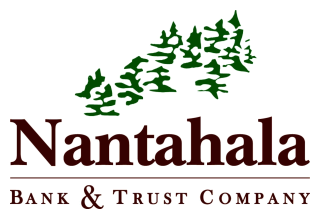 Banking products and services are provided by Nantahala Bank & Trust Company. Member FDIC.